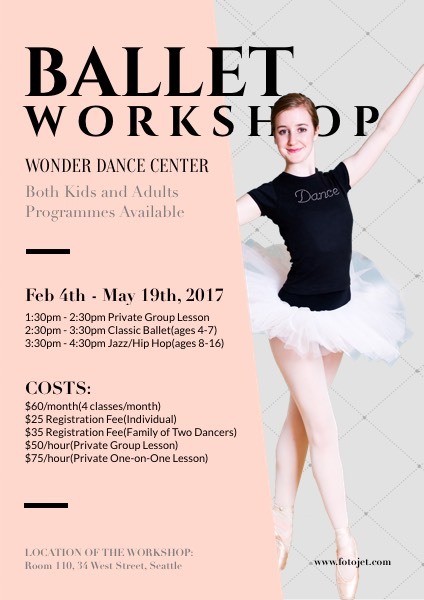 If you have a dance studio offering dance classes, this promotional flyer template is a good choice for you to make some flyers to advertise your workshop so that more people can enter to sign up dancing classes. Fill the template with your own details to finish dance class flyer designs. You can also upload your own photos to alter the existed one, change the font style, add more clipart images if needed.